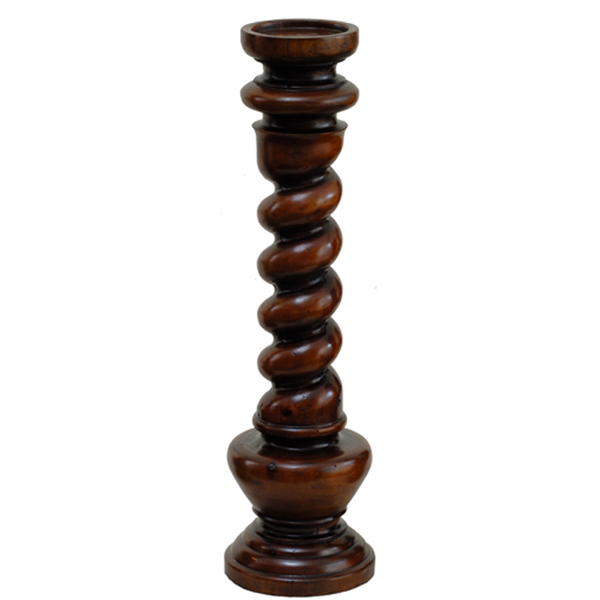 Twisted solid wood candlestick holder available in two heights. Large (pictured top left) shown in Aged Honey wood stain. 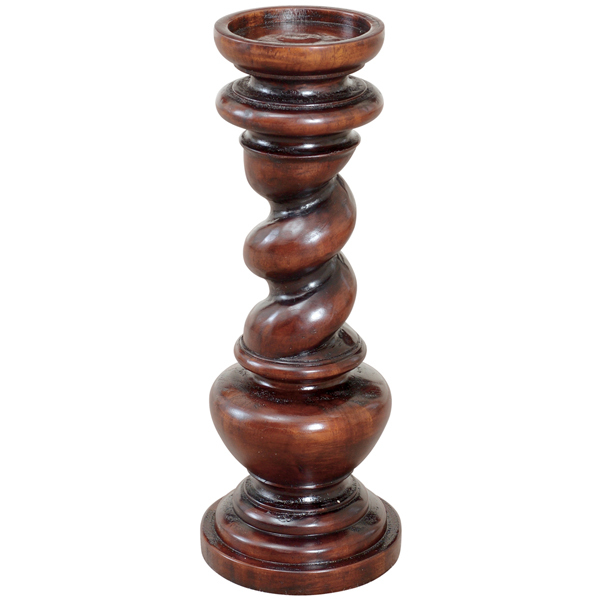 Small (pictured bottom right) shown in Aged Classic wood stain. This design is available in 50 different colors, and you may specify light or heavy distressing. Also, this design is available with hand painted art work for no additional cost. Custom is our specialty. Click on the buttons below to see color and art options.